The industrial cleaning services we offer are suited to any type of industrial premises, whether it is a factory, warehouse,offices, transport company. We offer one of the best industrial cleaning services in town at the best affordable rates. The machinery and materials used in the industrial facility are far larger and more vigorous than the equipment found in a normal commercial environment. Our industrial cleaning services team uses stringent cleaning material and advanced cleaning methods to remove tough dirt and grease typically found in industrial manufacturing facilities. White Spot Group provide industrial cleaning services for businesses in Blacktown, Campbelltown, Parramatta and throughout the greater Sydney region. Feel free to check out our extended list of cleaning service, for commercial, strata buildings, offices as well as child care centres. We also provide expert lawn mowing services. WHY CHOOSE US FOR INDUSTRIAL CLEANING? When you need a reliable team who understands the importance of having a clean industrial space, you should turn to the experts at White Spot Group. It is imperative for any industrial company to have their space clean, as having an unclean space can be hazardous and against OH&S procedures. Not only are you leaving your staff open to injury but if found with a hazardously unclean site your business may be liable to receiving large fines from governing bodies. Therefore, you can trust the experts at White Spot Group to provide your industrial business with a cleaning service that is quick, efficient and by no means interrupts with the daily activities of your business. We understand that you may be concerned with having cleaners enter your business, and we can assure you that we will provide our service in a manner that won’t interrupt workflow or productivity. We use only the highest quality materials when providing our service. 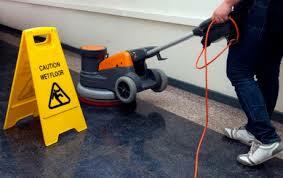 We care about the cleanliness and safety of your site, and therefore we always get the job done right, without fail. If you would like to make a booking with our friendly team of expert cleaners, or have any further enquiries about the industrial cleaning services we provide, feel free to get in contact with our friendly team of staff. We are committed to providing an exceptional standard of client service and communication, and will be happy to answer any questions you have regarding what we do here at White Spot Group.